ROSY GARDEN(IAS). 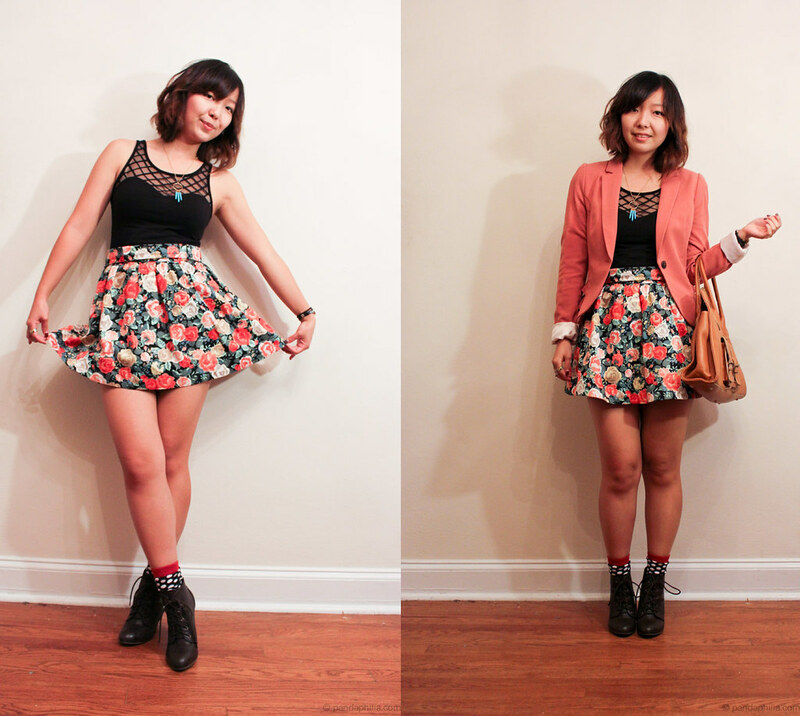 This is what I wore to the closing event of St. Louis Fashion Week (10/15), which seemed like just yesterday! This ensemble felt natural, it felt me, and I can proudly now say my personal style is usually some variation of a skirt (A-line is the best) and a tucked in top/dress with a fitted blazer. 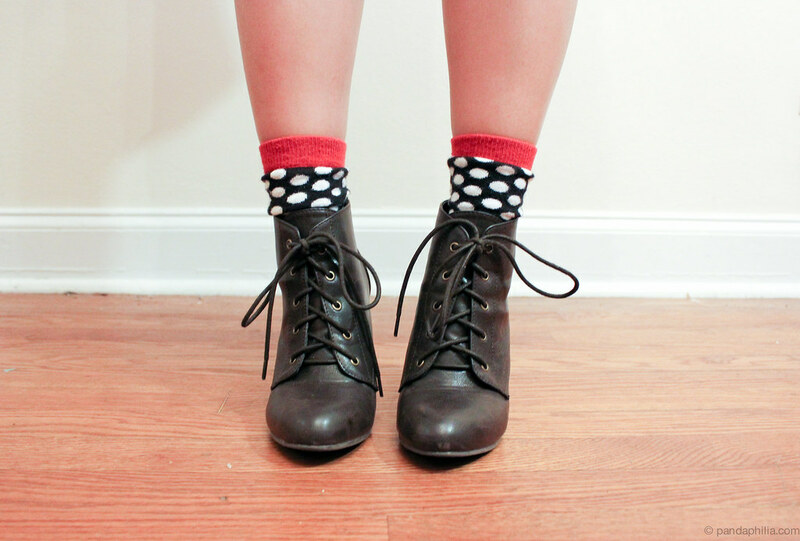 I feel polished and cute at the same time. Better yet, I've been hunting down a pink blazer for ages (my trend bane, if you will). After considering many light pink ones that were always too oversized, H&M came out with this perfect fitted one in a dusty pink richer colour and it has ruffles on the sides! I was sold, despite it being $40 after coupon (orig $50). You can read about the other things I found in my latest fitting room review. 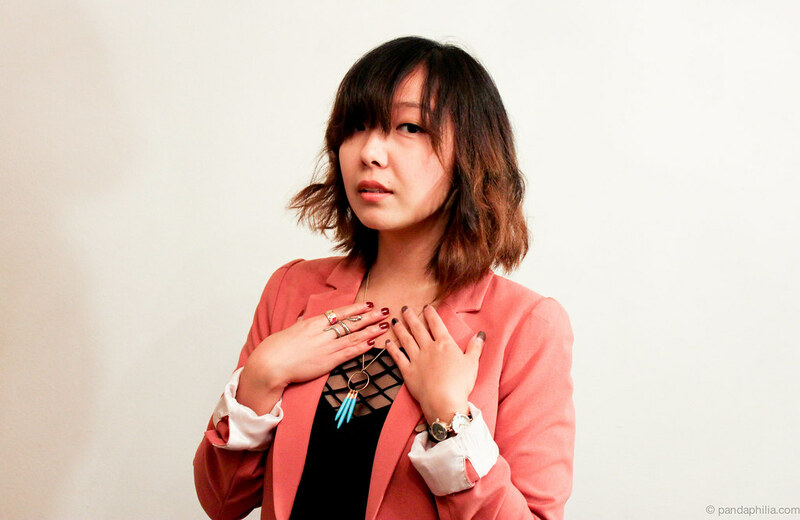 The bodycon dress I wore before has been recycled as a top and remember, it was only $5? 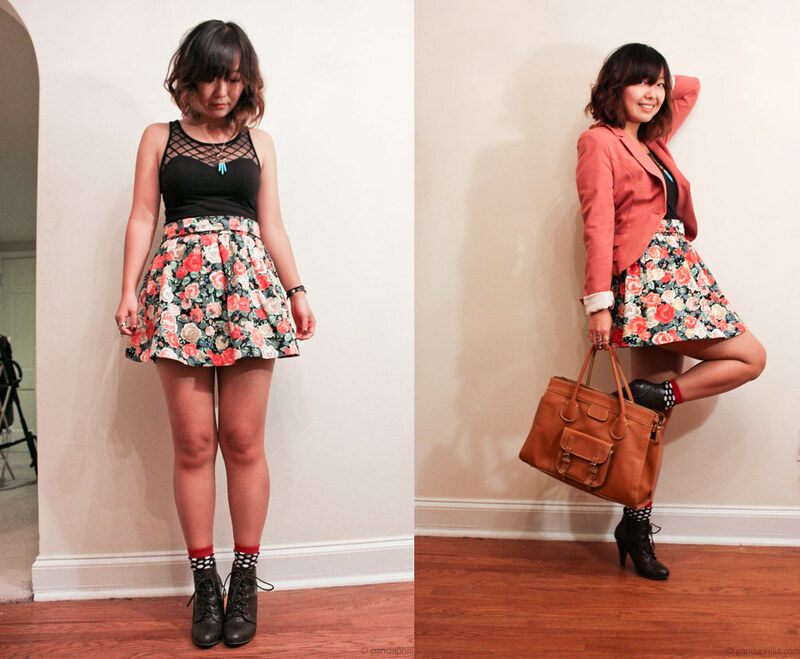 Same with the $5 floral A-line skirt I scored and styled last fall. The cool necklace from Whit and Mal's giveaway is handmade and designed by CLAWS Jewelry and I love how edgy it is while being dainty. Toss in curly hair and we were off to a very good start. Can you believe it's November already!? The months just fly by - cue calendar-page-flip animation sequence. The transition between October 31st (definitively Halloween) and November 1st (think countdown to Turkey Day) is awkward at best. Nevertheless my November wishes are: to eat as much pumpkin pie/cheesecake as possible (hello, love handles), go to a pumpkin patch, consume as much post-Halloween sale candy as possible. The best thing about flying out for interviews is all the people that you meet. There's something about just extending your hand and chatting up a storm that makes all the studying, painful classes, MCAT boot camp, endless essays totally L'oreal slogan - because [it's] worth it. And just to top it all off, McDonalds seeing med school in action ... I'm lovin it. My friend Sherri helped me realize the bigger things in life and to be confident in my strong sense of identity and never apologize for who I am. Thus, more time for coffee breaks and catching up with old friends, less complaining and unmotivated slushhhh, more powering through life. I have to remind myself why blogging was fun to begin with - it's because of everyone else in this community. I've been so self-absorbed and just posting to get things checked off ... my play has become work. So, now it's just fun! Very excited about continuing my sartorial set-list documentation, something I'm going to call "365 Days of Cute." Readers - are you dying for a pink blazer? Love this whole ensemble! Especially the mesh top! Can't believe it's November either!!! really loveee this outfit !! and that blazer is just wauwwww!!! do they still sell it ? I love the pink ruffly blazer on you Angie! 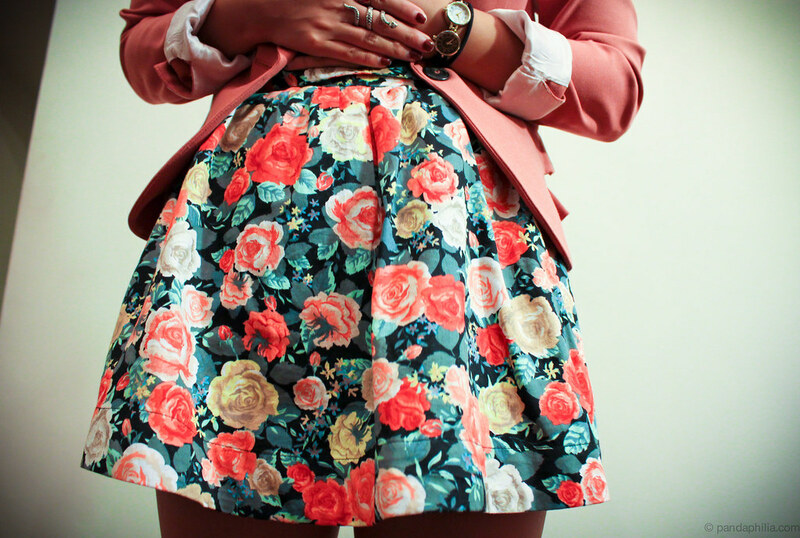 The floral skirt is so cute too! I think I need that skirt! I love this whole outfit though! 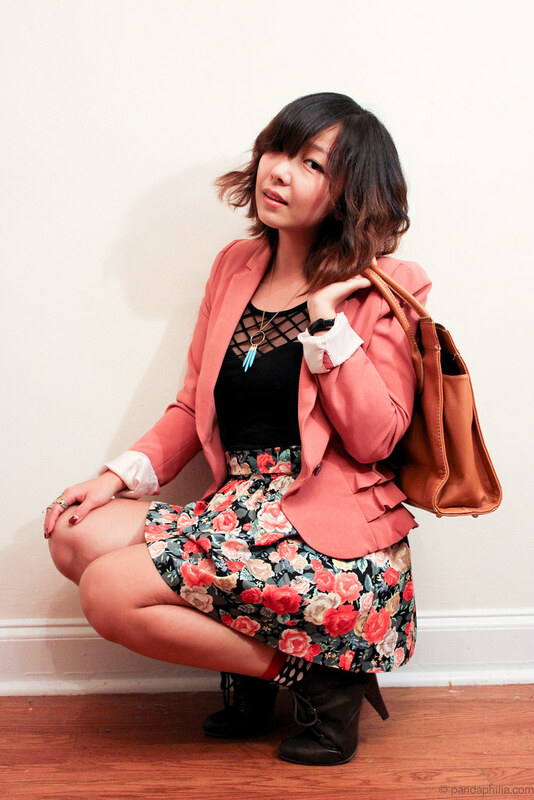 i love the pink blazer and especially the ruffles on the backside! so stylish, Angie! Um yeah, I'm dying for a pink blazer! Been seeing such lovely ones on different bloggers and yours is no different! Love the entire outfit really and that skirt is just so pretty and love the shape of it! 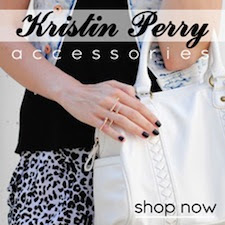 Just found your blog on chictopia! Would you like to follow each other? wow you look so fab in the outfit! I love it all! good luck on ur interview JiaYou! knock em down! I know.. can't believe its November already-_- Time has just flown by and I didn't realize I have been gone from the blogging world that so long. I love this outfit, really like the way you layer that pretty top with a skirt. It looks so different than the outfit you had that on as a dress! So pretty! !